frames are simply forwarded with an ethernet header to ETH1. > that you are trying to accomplish? 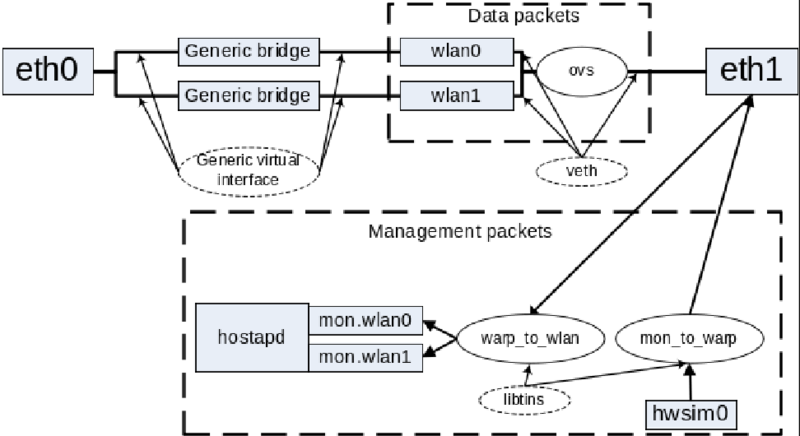 the LAN with traffic-controlling provisions. the case of the downlink (downlink operates just fine at the moment, FYI). This is how we hope to provide authentication,association, disassociation, etc.